Terre-Source (ter’a sors) adj. 1. from the earth. Terre-Source specializes in the design and permitting of small, mid-range and large scale composting and recycling facilities. We provide management and process consulting, compost sampling, and troubleshooting for a wide variety of techniques of composting, organics recycling, remediation and utilization challenges. Our expertise in technical as well as regulatory matters helps composters and other industrial facilities with compliance problems and improving relationships at all levels of oversight. Terre-Source is dedicated to ‘Full Circle’ utilization of organics. As such, we believe environmental education is an important part of our future. Terre-Source works with schools, at all levels, to help them successfully collect and compost their food wastes, create a usable compost product to improve soils, and encourage ‘hands-on’ production of fresh and nutritious food for the school. 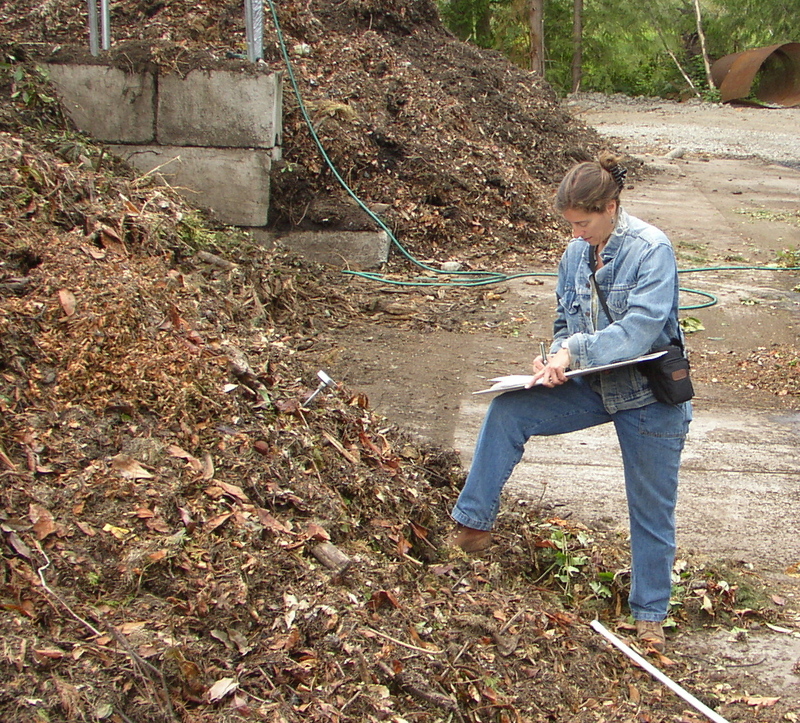 We also perform Compost Training for facilities that meets the Washington State regulatory training requirements. As General Manager, Tamara Thomas, P.E. provides her energies, skills and expertise to existing composters, businesses interested in starting up organic recycling facilities, and entities involved in using and blending compost products. She is experienced at helping to improve composting efficiency and compost product quality. Terre-Source is dedicated to helping you produce the highest quality organic amendment from your feedstocks in the most efficient manner possible. Ms. Thomas is a licensed environmental engineer in the state of Washington. She has over 20 years experience in consulting engineering on a wide range of projects including hazardous waste remediation, environmental regulatory compliance, construction QA,and geotechnical engineering investigation. She has deep experience with working through what may seem like the regulatory “bog” to achieve compliance for composters, expanded composting capacity for governments, and improved relations between them all. Tamara’s academic background includes an MS in Soil Chemistry from Washington State University, an MSE in Geotechnical Engineering with emphasis on contaminated soils from the University of Washington and a BA in Political Science from Washington State University.